Bombstrikes return with the third instalment of it’s hugely successful Bass Funk series and this time it is Latvian star Dubra is at the controls. After a string of No.1 releases with the label, Dubra is carving out his own place in the scene and his curation of the album shows the expert touch you would expect. As with the previous two volumes, the album is a mixture of the label’s best moments, exclusive new music and tracks from the scene’s biggest artists, alongside a couple of forgotten classics. 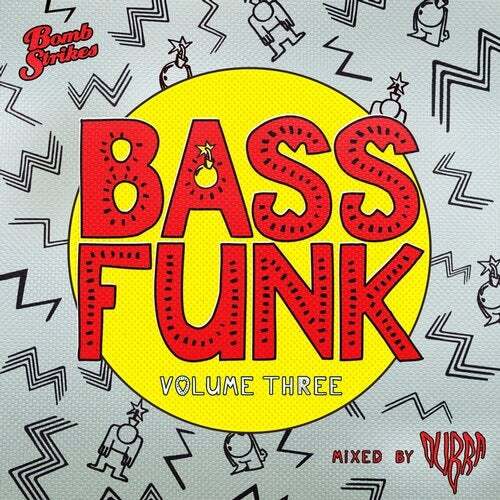 It’s a perfectly curated mixture of all things Bass and Funk, living up to the series ideals. Add to that the hefty track listing and a sublimely crafted Dj mix from Dubra himself, the third Bass Funk album is essential listening.